The PADI Advanced Rebreather Diver Course expands on the basic knowledge you have already acquired from your Rebreather Instructor and provides training to a maximum of 30 metres/98 feet (40 metres/130 feet if you have a PADI Deep Diver certification), including carrying a bailout cylinder. Now you too can join the elite who enjoy the quiet of diving with no bubbles, getting closer to marine life and enjoying longer dives with more no-deco time on the new Poseidon Recreational Rebreather. The latest technology takes all the complications and work out of rebreather diving and lets you get more fun and benefits out of rebreather diving. 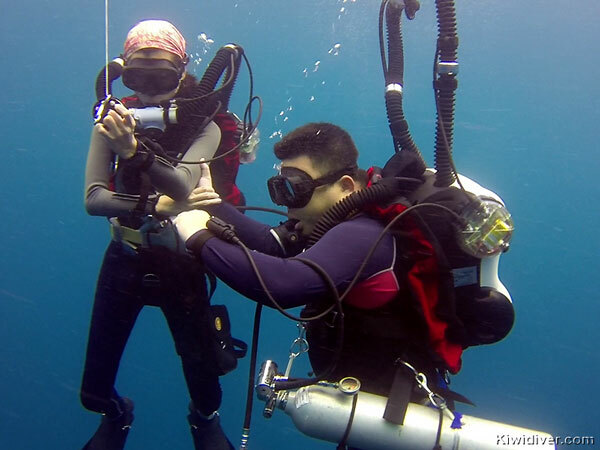 Kiwidiver was the first PADI 5 Star Dive Centre in Phuket to offer the new PADI Recreational rebreather courses. We were the first PADI dive center to have the Poseidon MK6 units in our shop for customers to try, hire or buy and are the only centre carrying spare parts, Scrubbers and O2 in stock. In fact we carry so much stock that we are now the Poseidon distributor for the south of Thailand. Kiwidiver is also the First PADI Dive Center to have both the Hollis Explorer and the AP Inspiration. making us the only dive center in Thailand to have all three of the recreational rebreathers on the PADI Recreational Rebreather register. 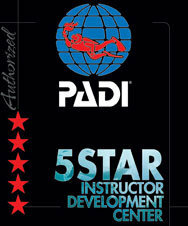 Kiwidiver is a PADI 5 Star training facility with only the best equipment, service and training available. 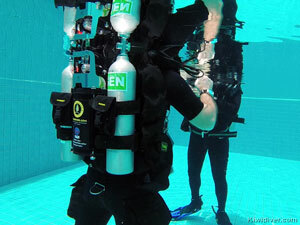 Now anyone can dive a rebreather! No noise, longer dive times and closer interactions with the marine life. 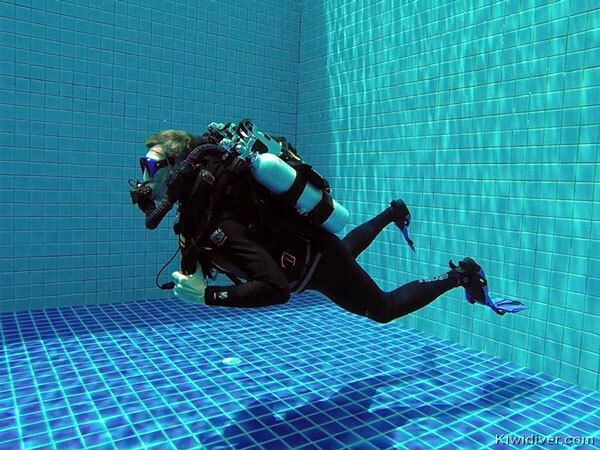 Become part of their world in the tropical waters of Thailand with the PADI Rebreather Training. 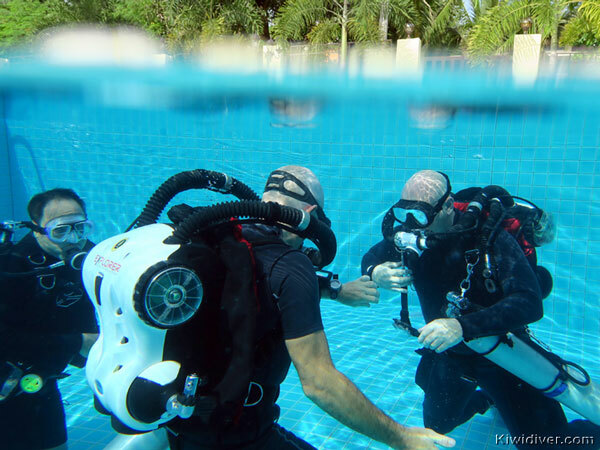 Do you have questions about the PADI Advanced Rebreather Diver Course? If you are not a certified rebreather diver yet, we recommend our clients’ top choice for rebreather training – the PADI Combined Rebreather and Advanced rebreather course – saving you time and money. Get certified for both levels within 4 days and save 40% of price compared to booking courses separately.